This Acer newbie is lighter than a Chihuahua puppy and yours for under a c-note if you sign up for wireless through AT&T. Where's the catch? 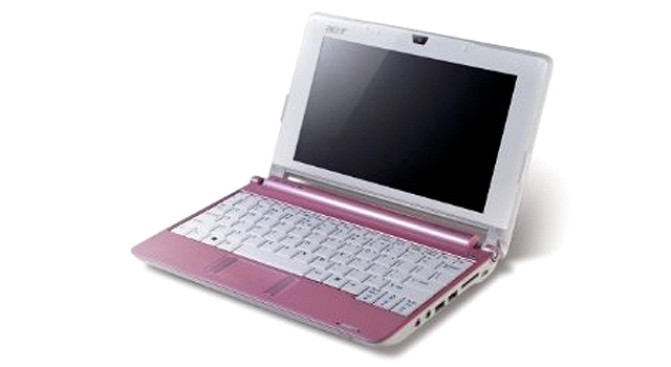 The Acer Aspire One Netbook: Small. Cheap. Deal? If you want to be mobile - truly mobile - you need two things: One, a computer that you can throw in your bag as a matter of course, with your wallet and your phone, and have it not be some big "now I will load up my laptop and go to the coffeeshop" ordeal. And two, a mobile broadband subscription that lets you connect to high-speed internet wherever you are, releasing you from WiFi hotspot tyranny and pricey one-off connections (thanks, Starbucks!). With both in mind, we're intrigued by a deal going on at Radio Shack (which we don't usually associate with ultra-performance technology, but still) right now: Sign up for a two-year AT&T AirCard contract (about $500), and for an extra $99.99, they'll throw in a nifty mobile-broadband-ready Acer Aspire One Netbook. The thing weighs two - two! - pounds and from what we read over at Best Bets, the other specs (screen size, etc.) are impressive, too. Plus, along with black and white, it comes in this perfect shade of Confessions-of-a-Shopaholic pink.